Attributes (Japanese: 属（ぞく）性（せい） Zokusei) are essentially the "elemental" groups for each Monster Card. There are different cards made to support each "element", and there are popular monsters of each kind. It is possible for a monster to be considered part of multiple Attributes via a card effect, such the effect of "Elemental Mistress Doriado". 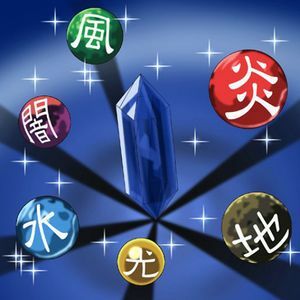 The Alignments featured in the manga and some video games are similar to Attributes. This page was last edited on 29 April 2018, at 09:27.